Navigating the Fuzzy Issue of Service Animal Requests | Sullivan Collins Law Group, P.L.C. Recent news stories of airline passenger demands to fly with emotional support peacocks and donkeys have provided some laughs, but in the employment law context, employee requests for accommodation of service animals are no laughing matter. Employers have seen an uptick in such requests, which have expanded from the traditional Seeing Eye dog to include comfort animals to help with disorders such as depression, anxiety or post-traumatic stress disorder. The surge in requests for this type of accommodation is partly attributable to a 2008 Americans with Disabilities Act (ADA) amendment, which clarified that anxiety and seizure disorders are disabilities. Individuals with such disabilities often benefit from the presence of a service animal companion. 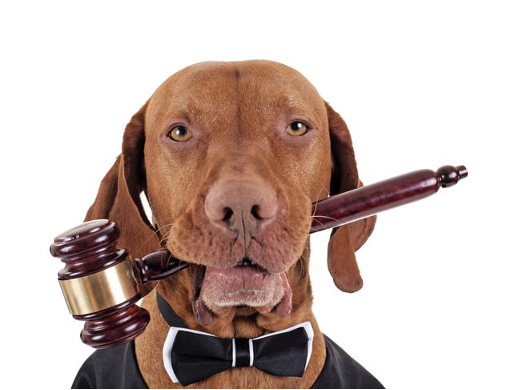 While there is little to no case law on this emerging issue, in at least one pending case the EEOC has argued that refusal to hire an applicant who required a therapy dog may constitute disability discrimination. Employers should understand that an employee request for service animal accommodation must be evaluated under the same ADA standards as any other request for disability accommodation; however, requests to allow animals into the workplace involve unique considerations of maintaining a clean workspace, workplace safety, and potential pet allergies of others. In some work environments, the safety of the animal must also be considered. Requests should not be dismissed out of hand; rather, the employer should request medical documentation verifying the claimed disability and detailing the need for the support animal. Employers also need to think through the logistics of accommodating the presence of the animal companion. If the employer determines that the request can be accommodated, it should also anticipate questions and concerns from co-workers, who may demand to know why the employee with the service animal is allowed to receive “special” treatment. Remember that the ADA prohibits employers from disclosing or discussing the disability of the accommodated worker, so businesses need to come up with a nice way to tell inquisitive co-workers and others to mind their own business.